We strive to make our families and visitors feel comfortable while paying respects to their lost loved ones. Call us today for our services (716) 836-2935. In times of grief you need to know that you have a partner on you side, dedicated to helping you through the changes and transitions of life with the highest regard for quality and care. 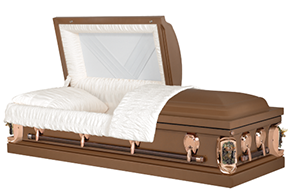 Since 1948, C. Mertz and Son Funeral Home Inc has serviced the Buffalo, NY and Kenmore, NY area. Local families have come to trust and depend on C. Mertz and Son Funeral Home Inc. With compassion and care, we make sure to help you through funeral arrangements, the burial and offer assistance after the funeral. With us, you’re always in a comfortable and trusting environment. Funerals are for the living, those surviving a devastating loss of a loved one. They allow us to celebrate a life well lived and acknowledge that this life has come to an end. A funeral helps us to come to terms with our grief and sense of loss, and it unites families and friends in expressing sadness and eulogizes the deceased. At C. Mertz and Son Funeral Home Inc, we are dedicated to bringing you the highest quality and the most meticulous care for details. For over 60 years, we have been known as one of the most exquisite and affordable funeral homes in the area. We are dedicated to excellence and our friendly and understanding staff will help you get through difficult times. Losing a loved one is never easy and we aim to offer guidance and comfort. Call us today.